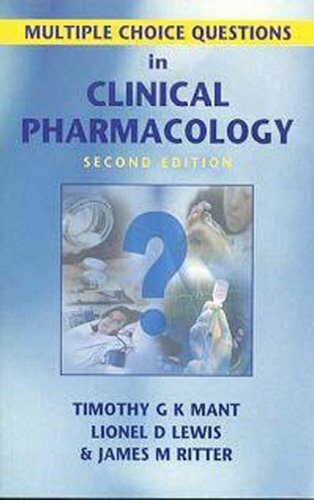 This MCQ book is a companion to the 'Textbook of Clinical Pharmacology'. MCQs remain an essential part of written medical examinations and practising this form of self-assessment is thought to be the best way of mastering the technique. The 2nd edition contains 400 MCQs and explanatory answers with clear references to the main textbook. This enables the student to use the book on its own or in conjunction with the textbook as an adjunct to study. Timothy Mant is at Guy's Drug Research Unit, Guy's Hospital. Lionel Lewis is at Dartmouth Medical School, Hanover. Mant, Timothy G. K.; Lewis, Lionel D.; Ritter, James M.